At the Annenberg, Kathleen Hall Jamieson’s ‘Library of Alexandria moment’ is a warning to publishers that their essential content could go up in cyber-flames. 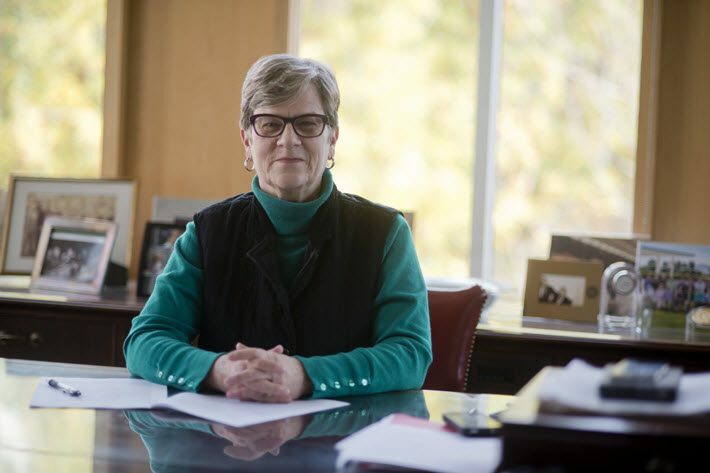 The Association of American Publishers, seated in Washington this week for its annual Professional and Scholarly Publishing Conference, has conferred on author Kathleen Hall Jamieson its highest PROSE Awards honor, the 2019 RR Hawkins Award. The book ran the months-long PROSE gauntlet to arrive as the winner in the Social Sciences division of the awards, and then was selected over three other category winners for the ultimate prize. The full list of four PROSE can be found at the end of this article and at the AAP’s site. As we reported on the opening of the conference, Jamieson directs the Annenberg Public Policy Center at the University of Pennsylvania. She traveled to Washington to speak to the conference. And in her interview with Publishing Perspectives, she described a chilling threat to digital-era publishing and the knowledge economy. Her warning warrants fuller length than was available in our conference preview, and so we return to our interview with her here today to provide a fuller account of her comments and thinking. At its most elemental level, Jamieson’s message to the publishing industry is that the digital dynamic that’s been powering its evolution for more than a decade may walk it right into an ambush of Alexandrian proportions, should the wrong actors take advantage of its contemporary vulnerabilities. 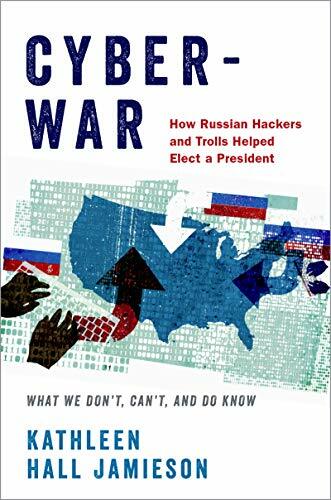 Jamieson’s Cyberwar is among the most substantive of the crowded field of political books that collectively have put nonfiction into the driver’s seat of the American book market. The work has its critics, too, and not least because it lies on today’s field of political fury. For those seriously concerned about the complexities of the foreign incursions that American intelligence chiefs have testified were made into the electoral process in 2016, the book is as compelling a read as Bob Woodward’s Fear: Trump in the White House. or Michael Wolff’s Fire and Fury: Inside the Trump White House. Released near the end of September by Oxford University Press, it stands at this writing at No. 24 in the Kindle Store at Amazon.com in political-book categories of Media & Internet. 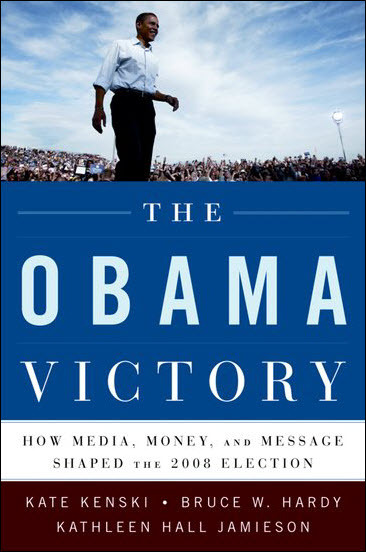 The actions studied by the work of Jamieson at the Annenberg include not only altering “the balance of messaging against Clinton” when late deciders were choosing who to vote for, but also how hacked content could have “reshaped press coverage and debate focus,” as the book puts it. Trade publishers should feel no comfort here. Jamieson’s work is grounded in the world of scholarly research and her interview with Publishing Perspectives was for her appearance at AAP’s professional and scholarly conference, which closes today (February 8). But her warning applies with equal impact to trade publishing, as well—indeed to every facet of necessary information and data on which a culture’s operation depends: a society’s knowledge. Jamieson’s work is based not only in her extensive research on the US presidential election of 2016 but also on her work as author or co-author of 15 previous titles in communications and political science. 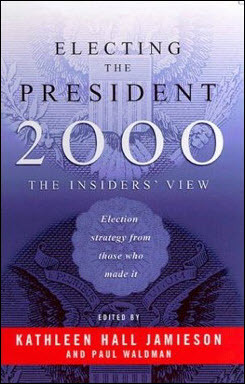 Among them are The Obama Victory (OUP, 2010) and Electing the President, 2000: The Insider’s View (University of Pennsylvania Press, 2001). Perhaps with some irony, what she’s discovering has prompted her to look at the very form in which she delivers it: the book. “Now that we’re online when we buy our books digitally,” she says, “we have links to materials that let us find it and verify it. The picture Jamieson paints, based on how deeply she’s seen the reach of bad actors into the data world, is not only one in which a publisher’s list might be destroyed, but one in which it also might be rendered wrong: changed, altered, made so fundamentally unreliable that it becomes hopelessly damaged goods. “Another thing you could very easily do,” she says, if you’re a hostile player, “when [there’s] a book that’s doing very well and, as a result it’s got a lot of digital downloads—you could just change the site so that it’s out of stock. “Right now, there are ways in which when a book goes out of print, the publisher can still download that book in order to create hardcopies of it. Suppose somebody decided to just go and wipe it out? If someone was up to no good, they could wipe out every digital file we’ve got that’s preserving the back-record on books that have gone out of print. One reason that Jamieson fears the flames of such a nightmare, she says, is that the world of entertainment and the treasure of literature that lies at its heart don’t necessarily have the protective advantages that secure other parts of our social underpinnings. And Jamieson is especially concerned for publishers because protecting the 21st century temple of knowledge may not be something they can manage, even if the will is there. She points to “deepfake” technology, in which artificial intelligence, or machine learning, supports digital file manipulation, so that, as she says, “You can create visual content that’s indistinguishable from an actual copy of something.” The ways of corrupting and falsifying information are many, and growing. “Part of what’s ultimately going to protect us is forms of cyber-security,” Jamieson says. “They’re also going to be used to protect everything else that’s transferring in cyberspace. The question is because publishers don’t necessarily have the resources that, for example, the Pentagon does or that we hope our banking system has, will publishers have the wherewithal to put the protections into our knowledge-base that the other sectors will have put into place? “Imagine someone who believes that a religious text is blasphemous decides to go in and wipe out all the digital records we have of The Book of Mormon or all the digital records we have of the Qur’an—all the things that create the back-space on these texts. “We’ve moved a lot of our knowledge structure into digital space,” Jamieson says, “and we used to be protected by the fact that knowledge in print form, in print copies, went to unexpected places. So the Visigoths could overrun the monks and the monastery. But there’d still be another monastery that had been copying out manuscripts. Today, that may not be the case. “We haven’t had a crisis of this kind yet,” Jamieson says, “but imagine someone decides that a certain word shouldn’t be spoken and decides to [create] a program that writes that word out of everybody’s lexicon. Or worse, writes a search-and-replace so that instead of a sacred word, you now have a profane word. And if we assume that military-grade security may be beyond the reach of the knowledge sector—too costly for publishers to attain—are we left building the Fahrenheit 451 colony? Should we begin encoding the irreplaceable texts into human memories? No, but for all publishing’s correct efforts to gain digital traction, print may well need to be protected. Hardcopies of some kind—renewed if necessary at times to keep them viable—may have a more critical place in the cultural canon than might have been thought. Kathleen Hall Jamieson is left looking not only at the knowns and the unknowns she was able to tease out of the media-verse to create Cyberwar, but also at its implications. In addition to Jamieson’s win in the Social Sciences category for Cyberwar, three other titles were honored today by the Prose Awards program at the conference. These were chosen from the finalists in 48 subject categories representing some of the most accomplished writing and publishing in the professional and scholarly sector in the United States. 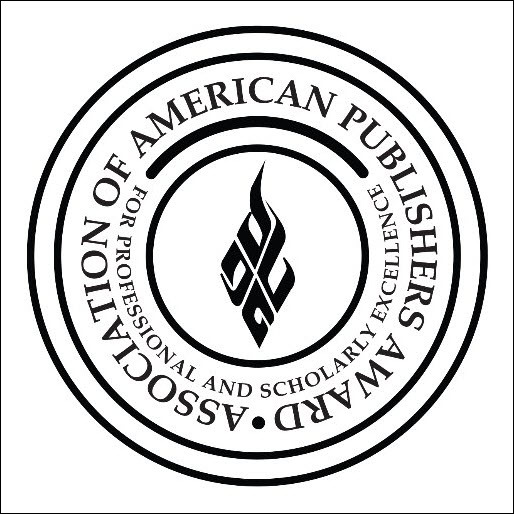 More from Publishing Perspectives on the Association of American Publishers is here, more on digital publishing is here, and more on publishing and book awards is here.